Federal Encampment on the Pamunkey River, Va., May 1862. Union soldiers came into the South by steamer and train in the first year of the war. They closely observed the landscape, assessing and comparing it to their northern communities. 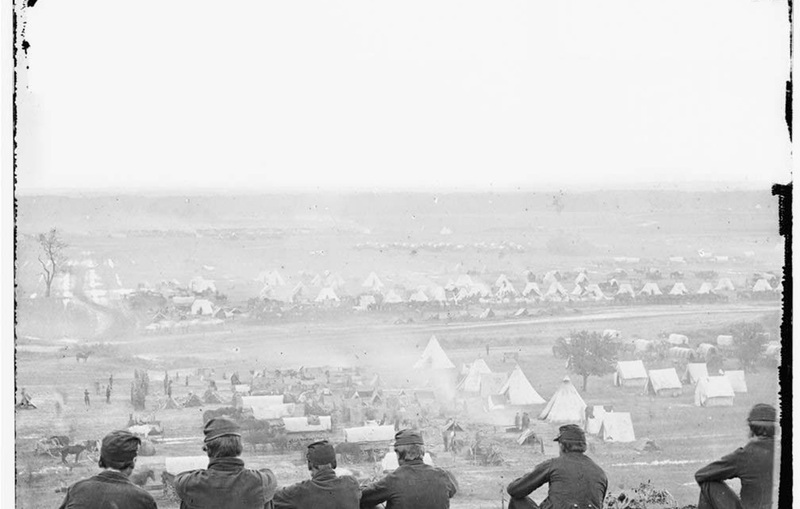 Library of Congress caption: Cumberland Landing, Va. Federal encampment on Pamunkey River, Va.; another view.